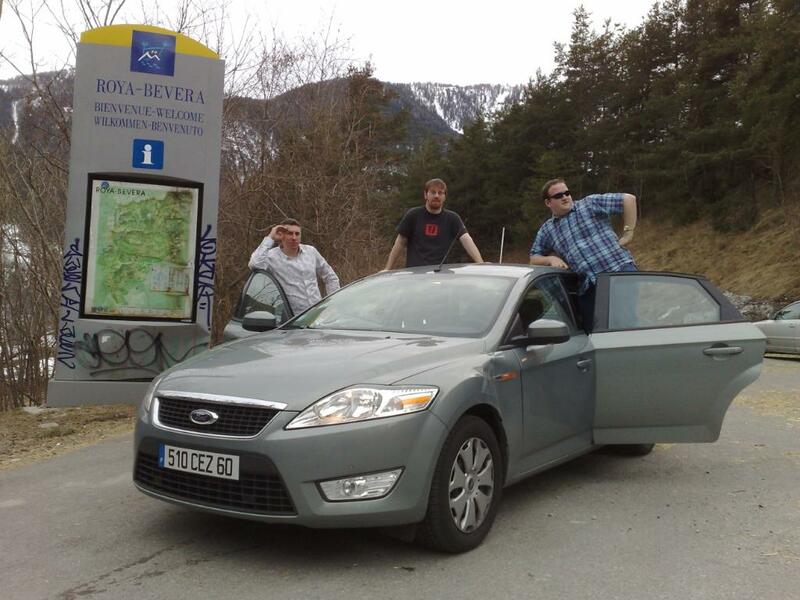 Robert Leitch recounts his hired Ford Mondeo-bound trip from Geneva to Monaco, via the Alps. His car was in convoy (sort of) with Andrew Elphick’s borrowed Citroen C5 and Steven Ward’s (other) Mondeo. Read on to see how he gets on. Since Sward and Elphick have posted their accounts of the Trans-Alpine caper, perhaps its time for the Richard Hammond of the team to give his account. The shenanigans at the Geneva hire desk, in an airlocked (literally) French enclave are well enough reported. I’m in no doubt that, across the entire globe, car hire frontline staff take sadistic pleasure in ensuring that any customer so presumptuous as to ask for a specific type of car is given something entirely different, even if there’s a yard full of their chosen vehicle immediately outside. It’s one of the few sanctions available to these doing an underpaid and frustrating job, and I have come to accept, and even enjoy, rental-car serendipity as one of the many manifestations of an imperfect world. When is a C5 a Mondeo? 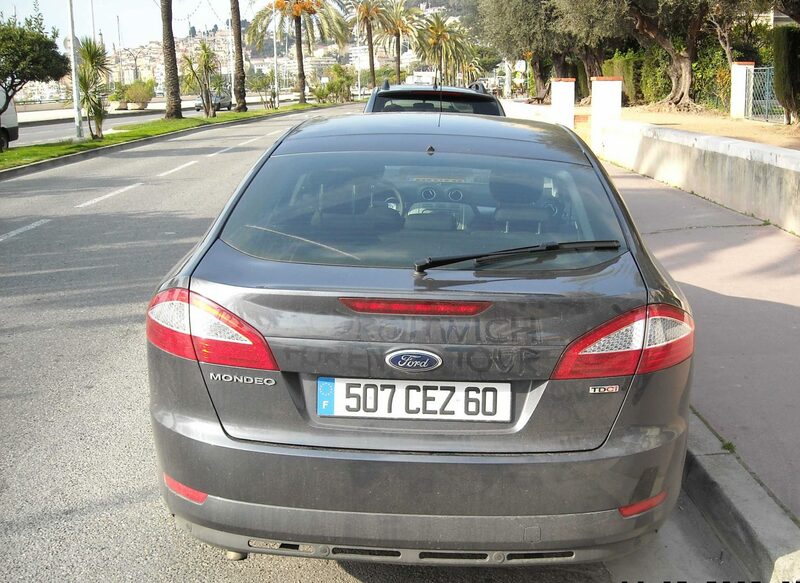 Anyway, Ben, Ed and I thought we had won the jackpot when we were sent down to the yard to look for a Citroën C5, registration number 507CEZ60, only to find, after 10 minutes of searching, that it was another Mondeo, filthy but undamaged, with a lower mileage than Sward’s. I have long regarded sat-nav as the work of the Devil, but the 60 km evening journey would have been hard work without it. The Rhône-Alpes roads authority’s policy appeared to be very much ‘Local signs for local people’, but the Devil’s device for the most part kept us on the correct path. In Meyrin I spotted a BMW dealer, looking like BMW dealers everywhere, but with the excellent name of Pius Buchs. John Cleese, the voice of Benny’s sat-nav, saw us to our underground car-park, Fünf-nav serving admirably in guiding me the short distance to the bar of the Annecy Ibis, and the largest glass of Kronenbourg on offer. The following day, well fed and with our faith in France’s service industries totally restored, we left Annecy in convoy but our digital dictators soon had us on different routes. With Ben at the controls, nondescript lowland Rhône-Alpes rolled by on well-engineered Routes Nationale, becoming ever more Alpine as we neared Grenoble. 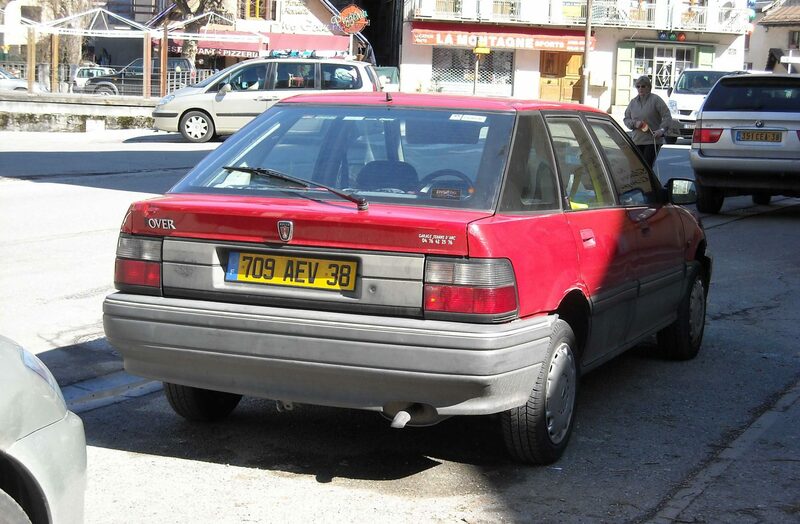 Not long after our supermarket stop at Vizille, we were on our first serious pass as we approached Les Deux Alpes and the Ford’s 1.8-litre diesel was being found seriously wanting. The lack of pace may have been a blessing as we rounded a hairpin to find a bulldozer clearing the last few shovelfuls of an avalanche. The delay was minimal, but we were reminded of the perils of the terrain. At Briancon we hit the ski-chalet style McDonalds. Ben and Ed drank buckets of coffee while I held to my personal principle of only employing McDonalds for the exhaust cycle of the digestive process. 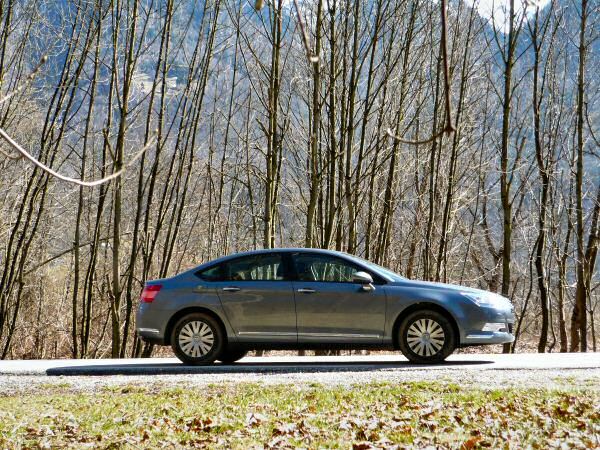 Taking over on relatively new roads, the Mondeo at first was very much in its metier, an effortless cruiser which, I was quick to comment, practically drove itself. John Cleese was positively loquacious and the Devil’s device was being positively angelic in warning of speed cameras, far less conspicuous than our own dear chevroned boxes. Soon the roads began to narrow, as we began an ascent to the Cottian Alps. Despite bright sunshine the walls of ploughed snow were growing ever higher. The first serious hair-pinned pass of my shift at the wheel revealed that Ford have not lost the knack of ruining a good car with a diesel engine with a power band only otherwise found on small capacity racing motorcycles. Attempts to use third gear out of a misplaced sense of mechanical sympathy were met with a total loss of power and, on occasion, the need to drop to first to get the turbo spooling again. Comparing notes afterwards, we all concurred that, in demanding circumstances, second is ‘the best gear in the real world’ and experimentation with any other was futile, bringing only frustration. Gone was any notion of storming over the Alps on a relentless wave of turbo-boosted compression-ignition torque. The passes came in rapid succession, a sense of foreboding heightened by the snow gates and depth marker poles. For several miles we followed a sinister looking Swiss-registered military prime-mover hauling what looked like encased missiles. Then, unexpectedly, just after Larche, we entered Italy. The western limits of Piedmont are a very strange landscape indeed. After the bustling ski-resorts on the French side, the first Italian villages appeared like locations from a disaster film, with streets bereft of cars and people. Demonte had more going for it with a narrow, timeless, main street with cavern-like salumerie and trattorie still invitingly open. A massive ancient basilica sat in a small square and I made a mental note that this could be a worthwhile stopping point should I ever pass this way again. Time was not on our side and John Cleese appeared to have taken a vow of silence. We passed through Limone Piemonte, quite a large industrial town, and were soon at the Col de Tende Road Tunnel. The fact that the other end of the road tunnel, completed in 1882, would see us back in France was as naught compared with the buttock-clenching scariness of the thing. An ingenious system controls the passage of wide vehicles through the 2.3km tunnel, as it can accommodate cars and trucks travelling in opposite directions, but not trucks in both directions. That’s the theory. The considerable width of the Ford meant that I had to hug the stone wall to the right, with heavy reliance on the door mirror, to allow the Ivecos on the opposing carriageway to pass with unabated pace. Back in France, car and valuable cargo intact, another hair-pinned pass appeared immediately after the tunnel exit. The car and motorcycle comics will no doubt list the Col de Tende as one of the world’s great drives but I had by now reached the stage of ‘pass fatigue’. We passed through Breil sur Roya and, shortly afterwards, were once again in Italy. As darkness fell, with Mediterranean suddenness, I realised I was lapsing into Nintendo driving mode. As the third member of the team, Ed, does not yet include licensed driving among his many accomplishments (A situation which should be remedied by the time you are reading this – Good luck! 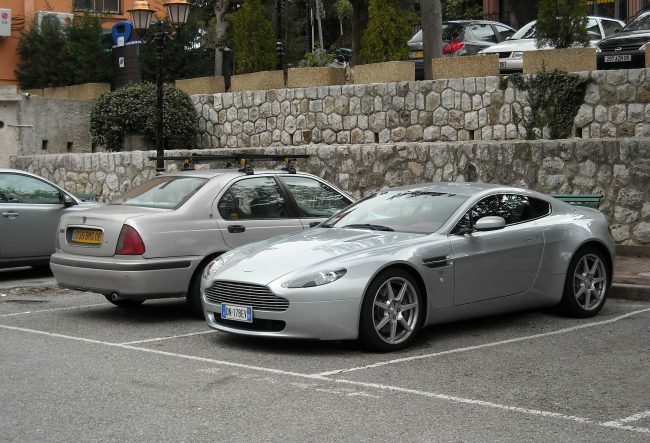 ), it was over once more to Ben at the limits of a nondescript Italian village. The spectacular foot of the Alps scenery was now largely obscured by darkness but one astonishing sight was a brightly lit express train passing at speed a good 200 metres above the road on an invisible mountainside railway, appearing to fly through the air. Two spectacular tunnels formed a sizeable proportion of the road between Airole and Vientimiglia. Our first signs to ‘Mentoni’ only appeared in Vientimiglia. The name of the Italian town sounds romantic and mellifluous, in a way only Italian can, but simply means ‘Twenty miles’. With the help of John Cleese, back to his loquacious self as French soil beckoned, we found our way into Menton without difficulty. The Sward team were already hitting the duty-free on a third floor balcony and Benny’s response to their whoops and catcalls was an uncharacteristic and sincerely meant stream of profanity. Blueduck was their hero of the day tackling the rush-hour traffic of Turin with insouciance and aplomb. Ben’s immoderate outburst was, I seem to recall, prompted by the suspicion that the Sward team, with more previous European driving and navigating experience than ourselves, had planned ahead with a failsafe fast route and damn what the sat-nav says. In retrospect, I’d have liked to have been more active in planning our route, rather than outsourcing the directions to an uncomprehending processor. Taking the opposing view, I don’t think we would have found a more memorable, spectacular, and challenging drive if we had planned the easiest option. And the evidence of the Sward team’s check-in paperwork suggested that we were less than half an hour behind. 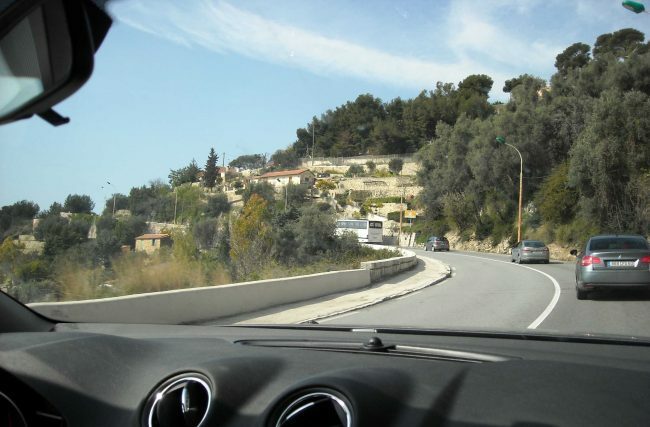 Next day I was content to let Ben take the wheel for the dash through Monte Carlo, the tightest back streets in Nice and on to Cannes. Choosing mainly “the best gear in the real world” he put the Corniche’s arrogant bicycle riders and suicidal mopedists in their place. Furthermore, he had the advantage of Benny-nav, a paranormal gift which allowed him always to find the direction Sward and Elphick had chosen when his progress was impeded by other road users and the control-freakery of the Principality’s traffic system. At the close of the day the Mondeo was returned unscathed. Approximate statistics were around 400 hard-driven miles and a creditable 36mpg. So what of the Mondeo? The irritatingly narrow power band was the worst feature but, in its natural metier as a motorway cruiser, the deficiency would have scarcely been noticed. There may even have been the odd opportunity to use the sixth gear for its intended purpose but it was mainly selected out of curiosity and to allow us to confirm by calculation that the top three ratios appeared pointlessly close. Could this be in the cause of CO2 figure massaging? There was little to fault with the general driver interfaces – clutch, gears, brakes – and the steering felt sensibly geared and weighted and decently communicative. Throttle-steering heroics were never on the menu but the big car did feel wieldier from behind the wheel than its considerable footprint and long tapering overhangs would suggest. That statement can only be relative. The Mondeo and its competitors have become the Panamax freight ships of the automotive world, enlarged to the maximum dimensions that European roads and parking spaces can accommodate. The resultant lounging space for three larger-than-average males was welcome, but does Europe really need American-sized saloons, without the compensating virtue of the near-obligatory 3.5-litre 250bhp V6? Declining sales figures suggest not – Mondeos, Vectras, Passats, Lagunas and 407s may have their following as business barges and taxis but the family car customers have migrated to MPVs and SUVs, which give more useful space within a smaller footprint. So, not the great affordable all-rounder we had hoped for but, in its proper milieu, without doubt a formidable transport tool. You’ll note to see the race winning Mondeo ahead in the 1st photograph of this fine and authoritive blog. All credit to BennyNav for following me through Monaco, he was astounding. I’ve holidayed their since 2005 and yet this Mondeo was unshakable. Not that we tried to shake it you understand, but lets say my knowledge of the roads and the Mondeo was fully utilised on the way in…….. The “Newport Pagnell Capri” has been nowhere near Newport Pagnell! It’s Gaydon these days.